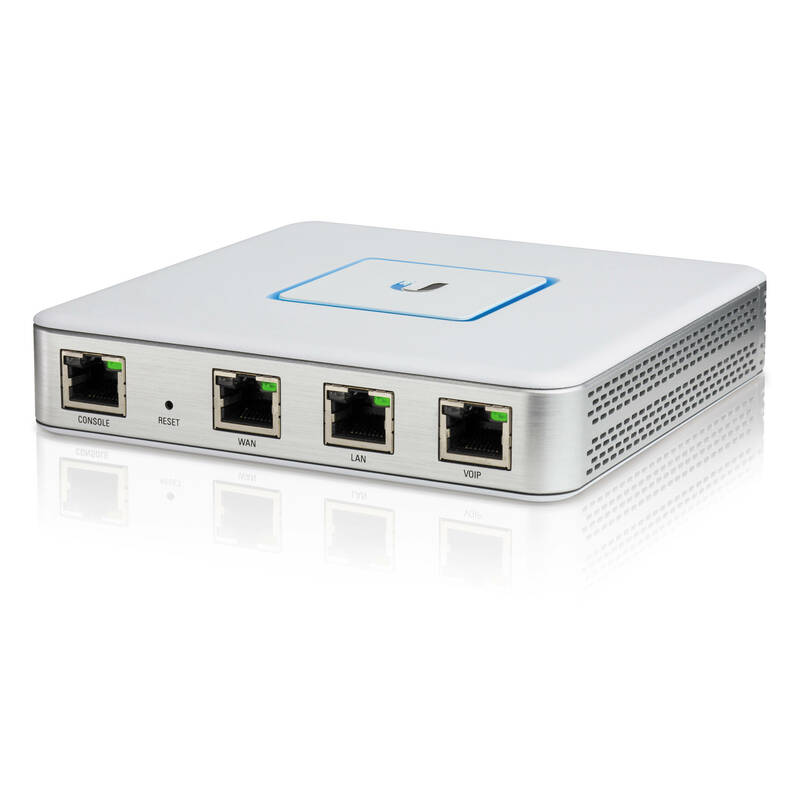 The Ubiquiti Unifi® Security Gateway (USG) extends the UniFi® Enterprise System to provide cost-effective, the USG is designed to take the place at the edge of your network and provide reliable routing and advanced security for your network. Cable of providing routing at 1 million packets per second whilst integrating with the UniFi® Controller/Cloud Key to give a seamless and easy to use interface, A CLI is available for advance users. The USG supports 3 gigabit Interfaces for LAN/WAN and Voip connections (Voip Port is non operation until a firmware update is released. QOS – For prioritization of network traffic.